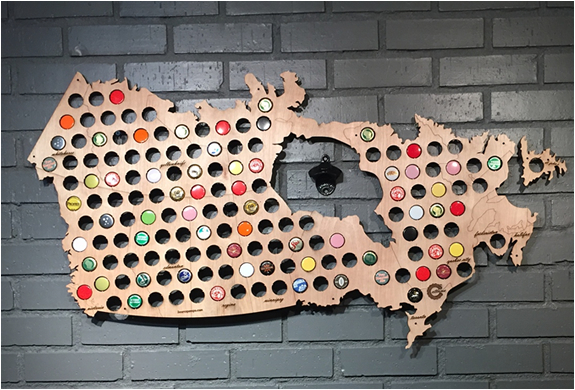 Beer Cap Maps is an interesting and fun item developed for guys that love to collect their beer caps, but also want to display them by adding them onto the corresponding state’s finest breweries, from which they were crafted, making it all the more interesting and thus combining an existing habit that may improve your geography knowledge. 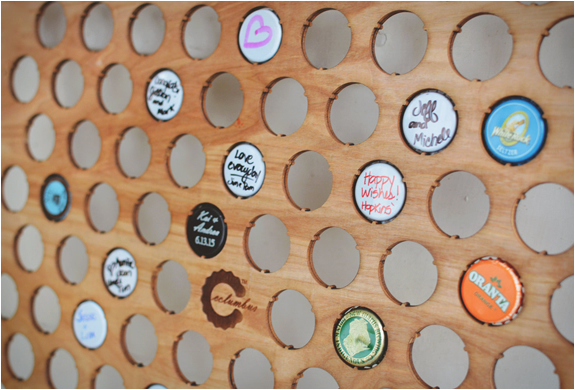 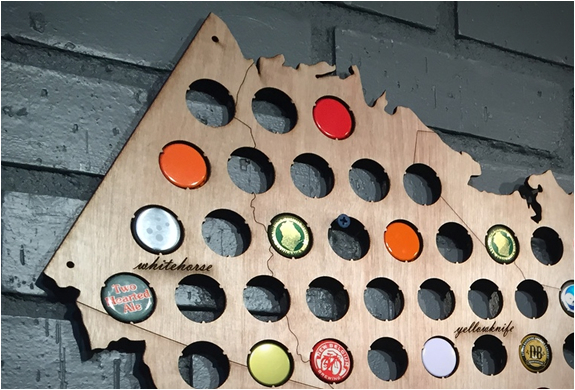 Each map is made from veneered plywood; with precision cut small holes where you can fit the crowns of your latest six-pack. 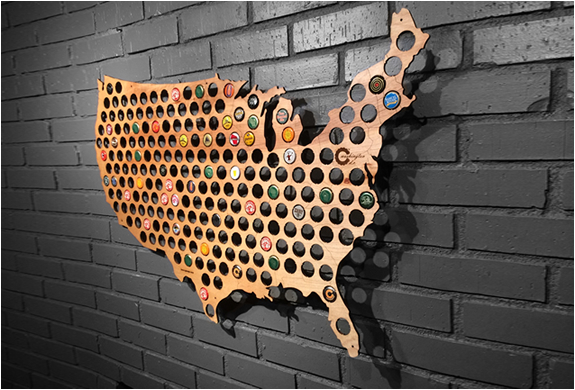 You can order your USA map or an individual state map, for the US also. 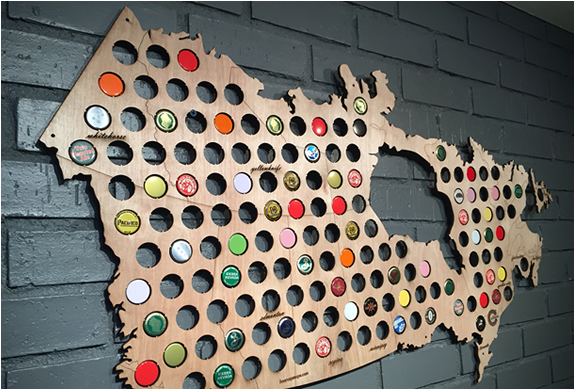 They also make maps for the British Isles, Canada, Mexico, Germany…it´s a great way to show off your beer taste and knowledge, plus add some color to the room you hang it in or just to get a conversation started in your office hall.